Common Electrics - Alarms/Security, Electrician based in Blunsdon, Wiltshire. 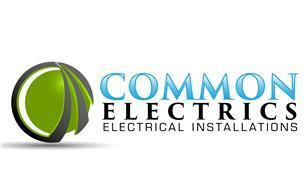 Welcome to Common Electrics - leading the way with quality and professional electrical services. We are family run business of electrical engineers covering Wiltshire and surrounding areas dealing with all aspects of electrical work. 1. Domestic services for your home. 2. Commercial installations for your work place. 3. Industrial electrical services and repairs. 4. Lighting design and installation. 5. 24 hour breakdown service. 6. Single and 3 phase 415V power distribution. As highly recommended electricians in Wiltshire we provide a comprehensive solution to almost any electrical problem from fault-finding and installation to repairs and rewiring. From our North Swindon base we undertake work in residential, commercial, industrial and agricultural locations in accordance with the latest IEE wiring regulations.